Looking in the mirror can be an important part of a daily routine. And while we can all agree that beauty begins on the inside, we certainly don’t mind any help we can get to look and feel our best on the regular. That’s why we’re always on the hunt for bathroom mirror ideas—you can consider it an investment in how you see yourself. For something you spend a healthy amount of time staring into every day (okay, sometimes unhealthy), you can afford to spend a little more time making sure you’ve chosen the perfect one. It’s worth it, and you’re worth it. 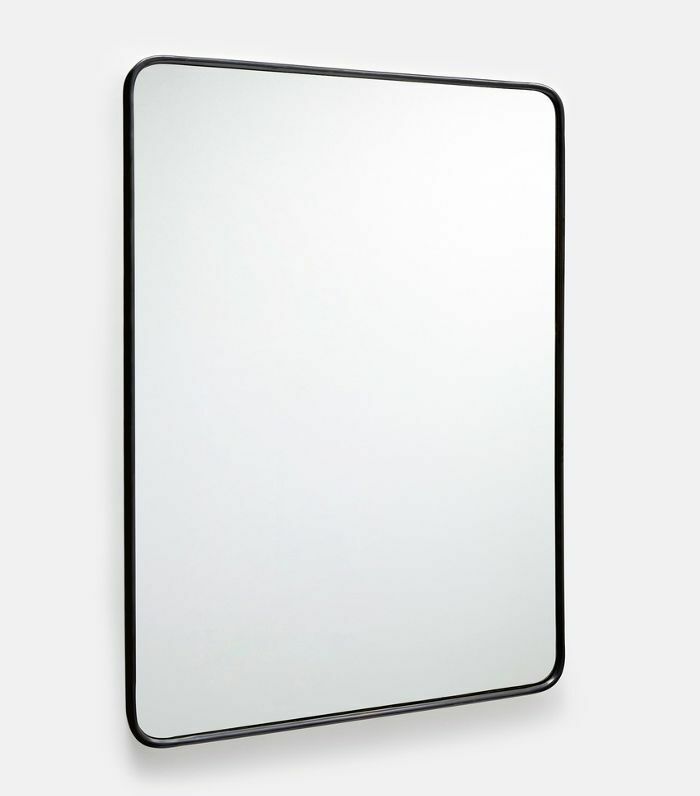 How can you get the most out of your bathroom mirror? Looking and feeling your best involves a variety of factors, but it all starts when you wake up. If you’re anything like me, the first thing you see when you look in the mirror in the morning is probably not your favorite image of the day. 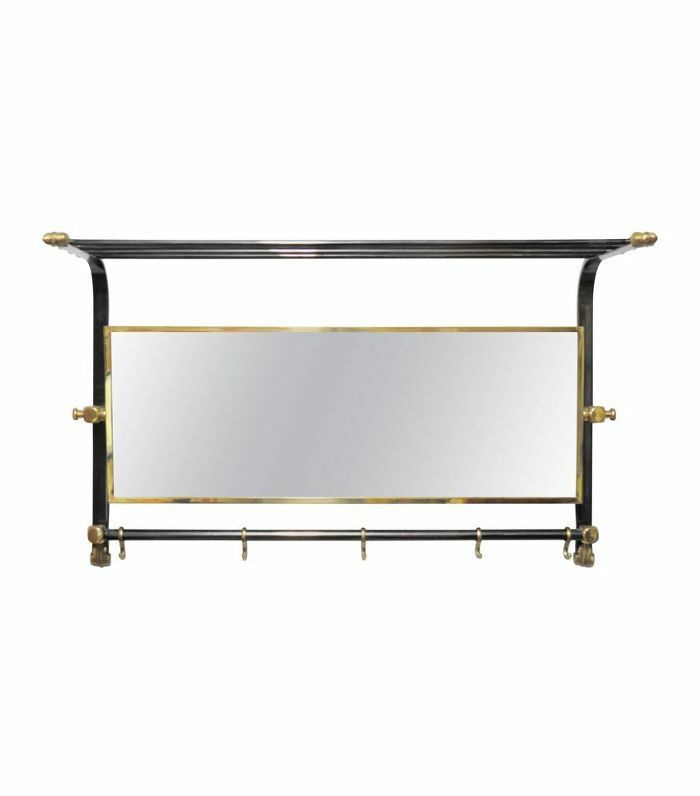 So, for starters, a chic mirror can help your bathroom vanity provide a confidence boost to kick off the day. Need a Monday morning pep talk or maybe a moment of reflection (literal and figurative)? 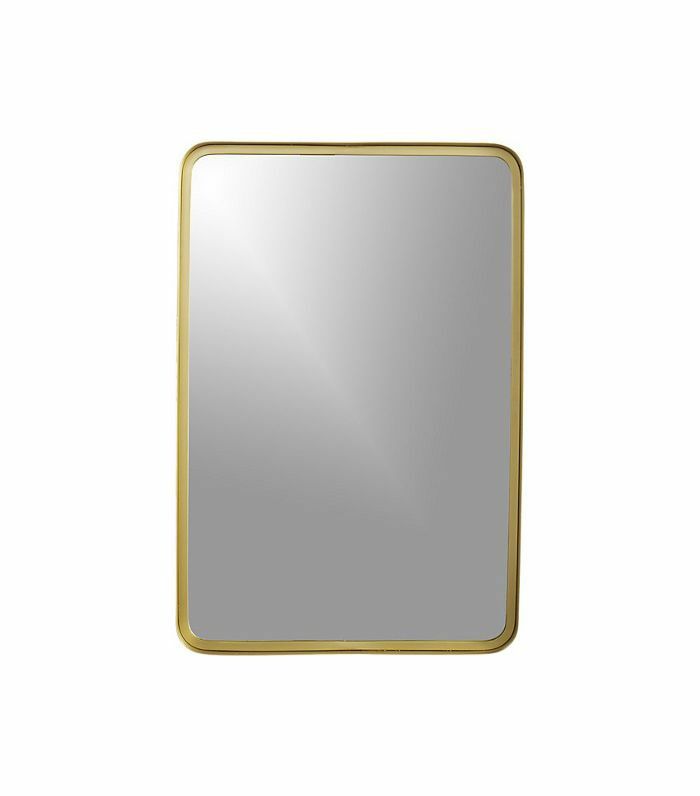 Regardless of your routine, the right bathroom mirror will frame the conversation in style. From minimal to ornate, round to rectangular, antique to modern, and everything in between, the possibilities are endless to suit how you want to see yourself. 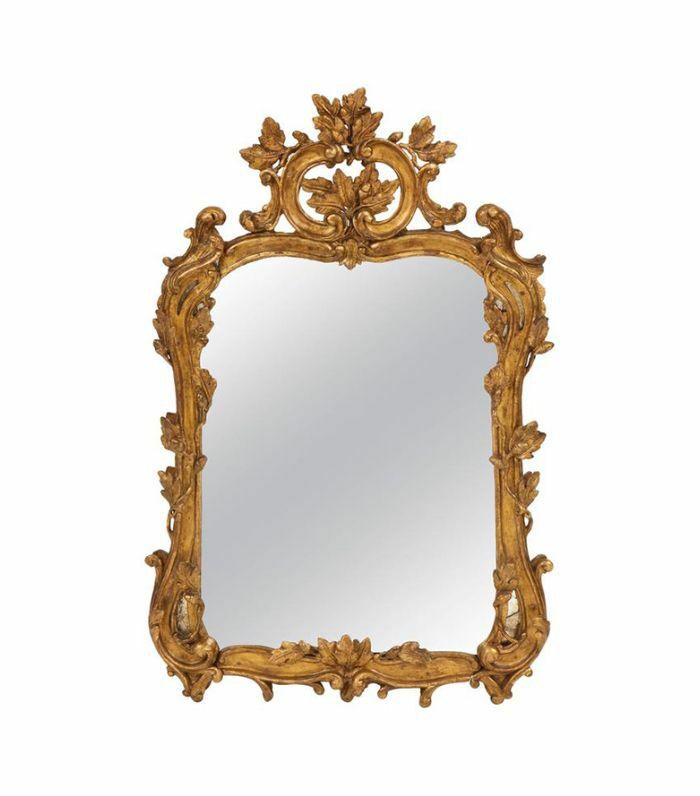 Mirror, mirror, on the wall: Which mirror is the fairest of them all? Scroll for 12 inspiring bathroom mirror ideas. 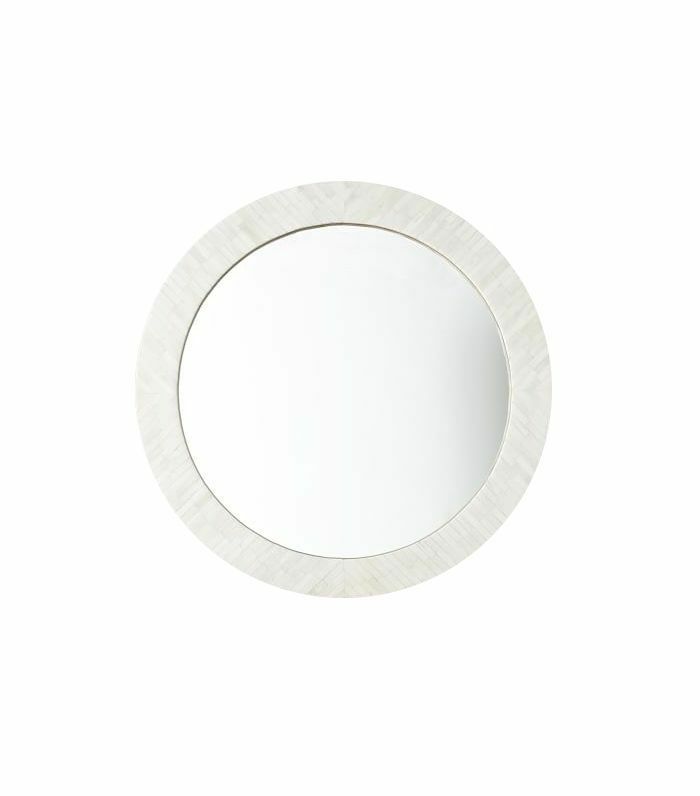 A round mirror is always a good idea, but it's even better when mixed with geometric shapes. This bathroom showcases an expert balance of angles and curves, which is pretty much exactly what we're looking for. After all, the best bathroom mirrors are the ultimate testing ground for your own most Instagrammable angles. There's no reason the clean, minimal appeal of an all-white interior can't extend to the bathroom space. The white finishes on this bathroom vanity, mirror, and lighting set a simple, relaxing tone. The round mirror provides a shapely contrast to the hexagonal tile and linear wood ceiling patterns, but we're mostly obsessing over the perfect proportion play between all the elements. 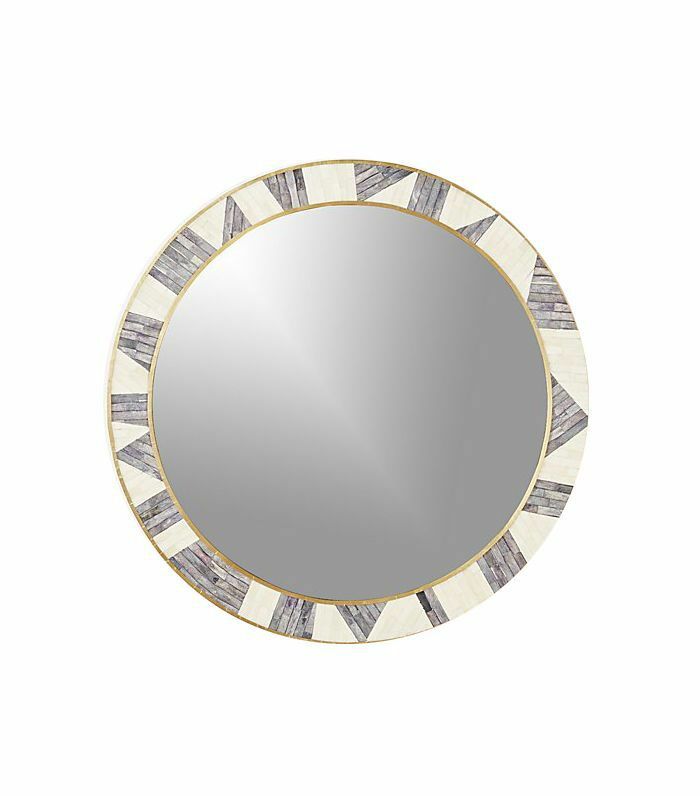 Looking for something to admire beyond your own reflection? 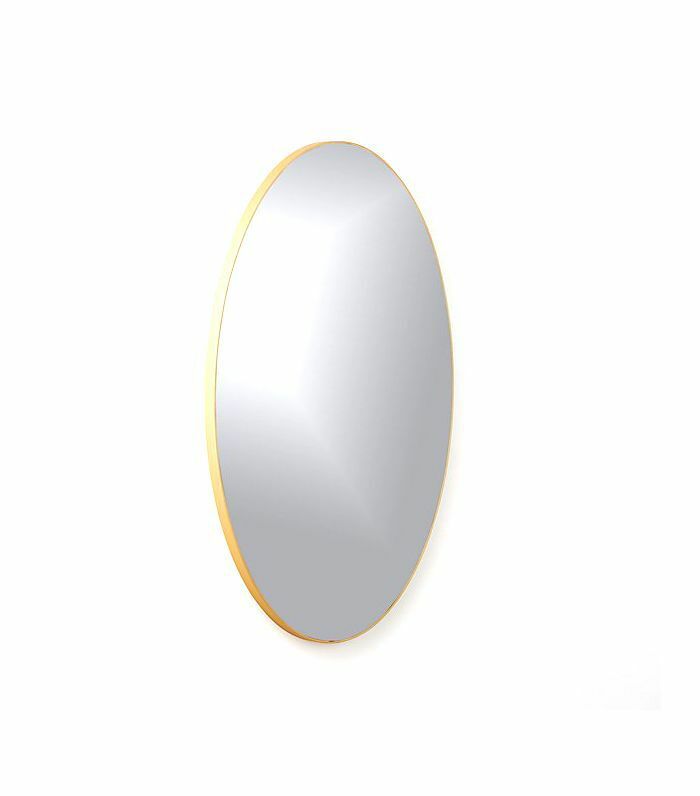 Try treating your bathroom mirror as wall art to strike a balance between fashion and function. 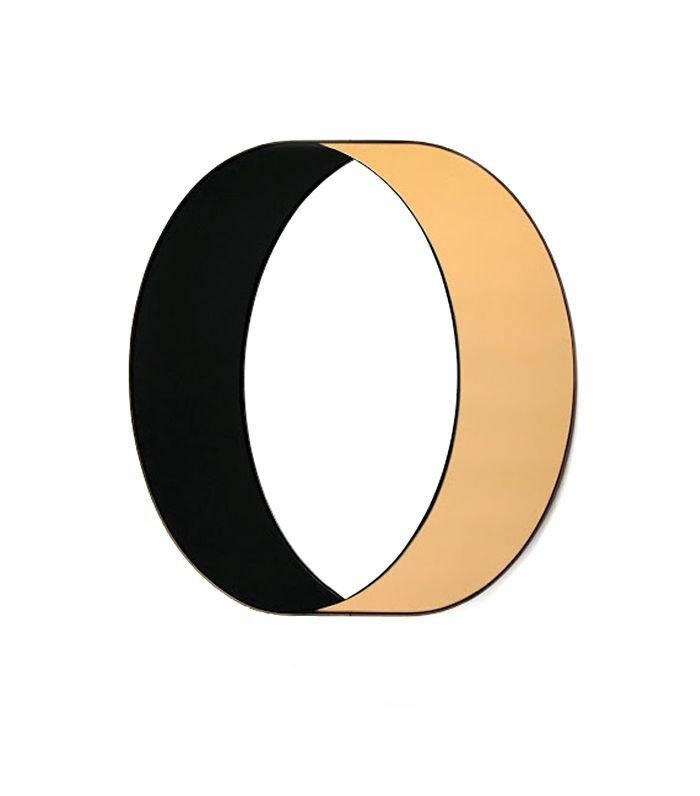 This mirror's three-dimensional illusion is a playful nod to Op Art, and you can't help but smile when you look into it. When it comes to bathroom mirrors, two is better than one—for the simple reason that multiple people can use them simultaneously. A double-mirror moment like this one is ideal for couples who like to get ready together but still value a little bit of personal space. What do you call a bathroom that has two vanities with large round mirrors flanking a bathtub? Goals. The symmetry of the entire room, the colors, and the chic pendant above the tub all seem secondary to the mirrors hanging on the wall. Let's be honest: We'd gladly invest in a little extra Windex in order to double down on round mirrors any day of the week. All the elements of this double-mirror moment mix together seamlessly: the natural wood finishes, the chic modern chandelier, and the overall simplicity of the décor. 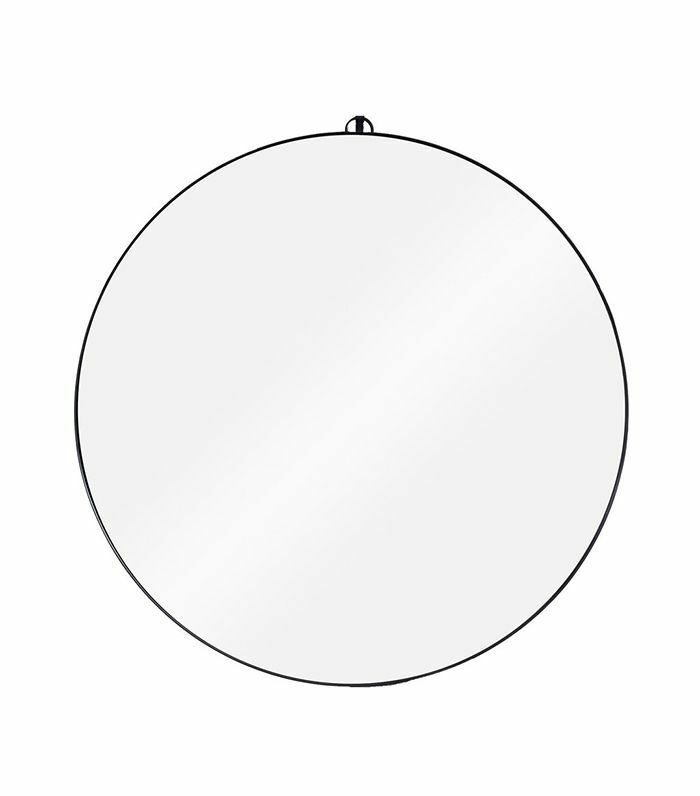 That's when bathroom mirrors work best—when beautiful design and flattering lighting give you a perfect daily glow. When renovating almost any room in the home, it's chic to antique. And bathrooms are no different. We love to mix and match pieces to create an old-meets-new vibe, and an antique bathroom mirror makes for a stunning statement piece. 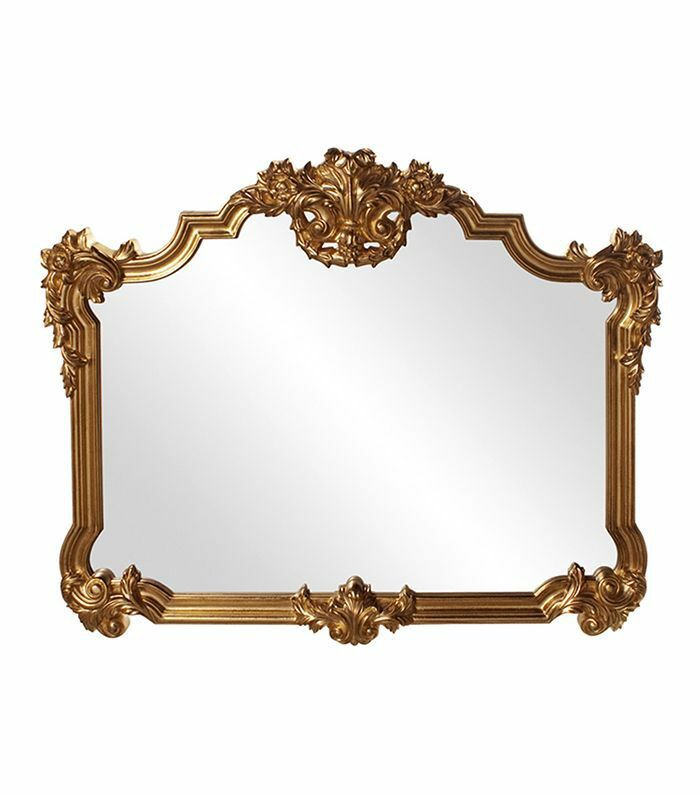 When you look in a mirror like this one, it's hard not to feel like a well-framed work of art. 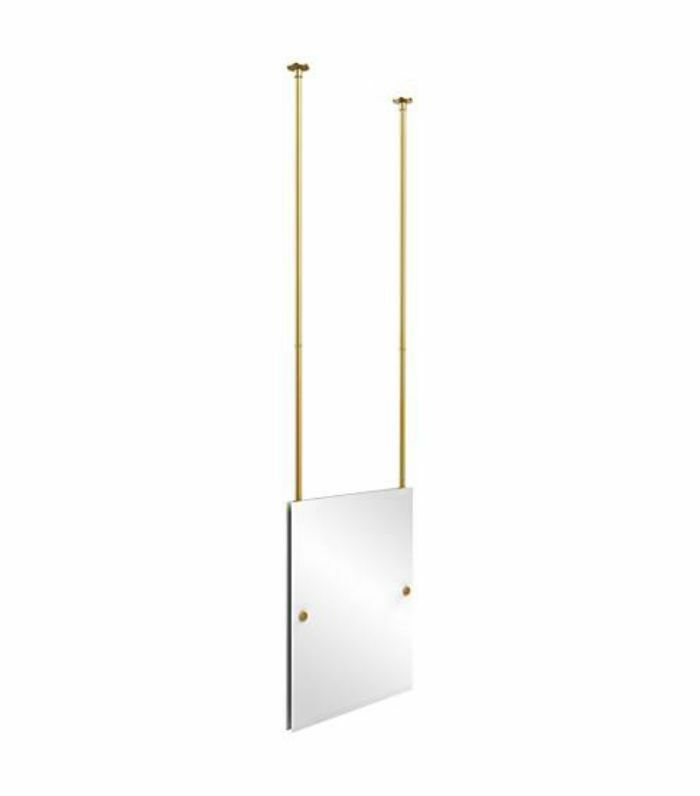 Antique mirrors are not without practical features; this brass mirror incorporates a shelf and hooks to bridge the gap between fashion and function in this bathroom. We know that bathroom storage often comes at a premium, so we're all about a mirror with a little bit of built-in versatility. Bright whites always look a little more crisp with an element or two of contrast. An antique mirror does just the trick in a more rustic take on a white bathroom, giving the space texture and warmth while maintaining that fresh, clean feeling. Sometimes the best approach for a bathroom design is to build personality into your morning and nighttime routine. This bathroom is a lesson in building energy through pattern mixing between the tiled floors and wallpaper, but one feature, in particular, stands out: a teardrop-shaped bathroom mirror. We simply love a space that embraces unique shapes. 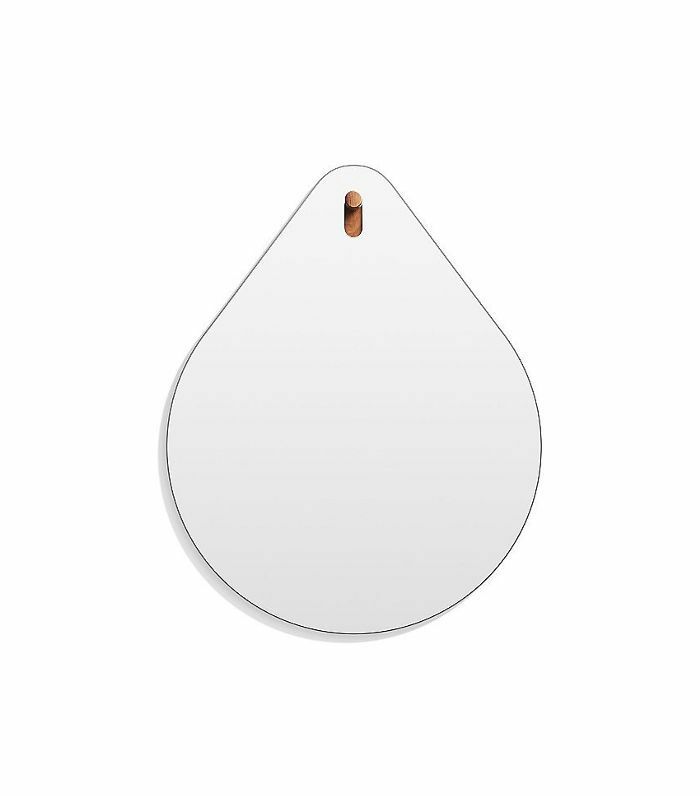 An oval provides a fresh twist on the round bathroom mirror trend. The slimmer curved shape leaves plenty of room for chic geometric sconces along with enough open space for shibori-inspired wallpaper to shine. Consider us sold on this shape. These octagonal floating mirrors add an instant feeling of lightness to this bathroom design, with a balance of shapes and angles that is pure gold. Here's to looking at you. Next, learn about the three household items a feng shui expert wants you to toss ASAP. This story was originally published on July 21, 2017, and has since been updated. Luxurious Bathrooms All Have This in Common—Does Yours?